With the Centre making its intent on electric vehicles clear, state governments are swinging into action to lure the new investments that automakers will pump into manufacturing them. Three weeks ago, Karnataka became the first state to roll out an electric vehicle policy to encourage manufacturing, while Telangana, another state with an automobile manufacturing base, is learnt to be working on its policy. Gujarat, a prominent state for auto manufacturing, has already attracted investments worth over Rs 5,000 crore, making it the envy of other states. This includes a Rs 4,000 crore investment commitment from the JSW Group for electric cars and a Rs 1,151 crore plan by Suzuki to set up a lithium-ion battery unit with Toshiba and Denso. Tata Motors, which has bagged the country's biggest tender for 10,000 electric cars, will manufacture these vehicles (electric Tigor) at its Sanand plant in Gujarat. With these developments, Gujarat will have a natural lead over competing states. Manoj Das, principal secretary (industry and mines) with the Gujarat government, told Business Standard that the state is evaluating various options and a policy for electric vehicles is "under consideration". Das added that an "announcement will be made at the right time". He also said that the JSW project falls under the mega-project category and would get the incentives that exist for such large ventures. 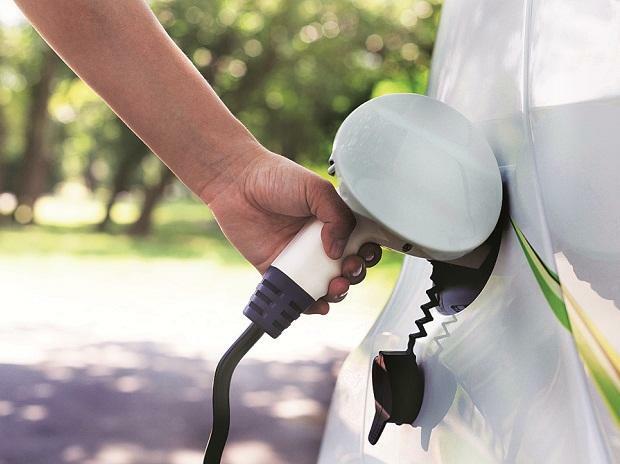 The Union government aims to have an all-electric fleet of vehicles in the country by 2030. "The Centre can only show a direction but all investments happen at the state level. The states also benefit from tax revenue and employment generation. They will have to draw up suitable policies to catch the investors' attention. There will be a competition," said an industry official. The electric vehicle space is attracting new participants, including start-ups who will make investments. Karnataka, which boasts of the presence of leading auto companies like Toyota, Volvo, Honda Motorcycles, and Bosch, has launched the Electric Vehicle and Energy Storage Policy 2017. The policy aims to attract investments worth Rs 31,000 crore in electric vehicle manufacturing and charging infrastructure. "I am sure this policy would be a game-changer in the industry and will be a model for other states. Our real work starts now, focusing on developing a ready ecosystem for a vibrant EV sector in the state," R V Deshpande, Karnataka's industries minister, said while announcing the policy last month. Karnataka's neighbouring state, Telangana, is also preparing to come up with a policy for electric vehicles. It is learnt to be seeking inputs from industry bodies and other experts. Other states with a large automobile manufacturing base, such as Haryana, Maharashtra, and Tamil Nadu, have not spelt out their electric vehicle policy as of now. Mahindra & Mahindra, which in May announced the setting up of a battery pack facility in Maharashtra's Pune, did not comment on queries seeking details of incentives (if any) that it got from the state government. States like Rajasthan are offering fiscal incentives to manufacturers who are investing in electric vehicle facilities. Jeetender Sharma, founder and managing director at Okinawa, an Indian start-up that invested Rs 35 crore in an electric scooter unit in Rajasthan's Bhiwadi, said he is availing of fiscal incentives to the tune of 20-25 per cent on the investments. He said there would have been no incentives for his project if it was manufacturing conventional fuel-run scooters.